Systems are the cornerstones of effective coaching. Actually, they are the cornerstone of almost any effective professional service. However, for the purpose of this article I’m going to discuss why and how systems are critical for coaching athletes, or for managing your own athletic career. With that said, to even begin to discuss systems, we have to first understand the principles these systems are built on. First, let’s clear up what systems and principles are. For example, everyone is probably familiar with the popular strength training program “5/3/1” by Jim Wendler. The 5/3/1 program, is a system. While customisable to some degree, it has certain core fundamental aspects that are always the same: it is built around the big three and overhead press, you train each of these lifts on its own day, and it follows a weekly AMRAP progression from 5+, to 3+, to 1+ repetitions for each lift on its designated day. On the whole, I think 5/3/1 is an effective system and works for more people than it doesn’t (especially novices and intermediates who require less individualization), especially when compared to other programs released to the masses. However, it’s not magic. The reason it generally works is because the 5/3/1 system is built on principles. These principles include specificity (the movements you train with are the movements you test), linearity (the loads increase weekly as the volume decreases), progressive overload (after each mesocycle the loads increase), and fatigue management (after each mesocycle there is a deload), to name a few. Hopefully, just from reading those last two paragraphs you are starting to realise how helpful it is to know principles. Someone armed with the knowledge of the basic principles of effective training can evaluate a system based on whether it is built on sound principles or not. When you look at systems through this lens, it becomes clearer what is worth your time, and what is all hype. Many programs out there are built on bad science, or even worse, arbitrary gimmicks that are justified through bad science. For example, imagine a system built around the arbitrary number 30. If you saw a program where instead of principles like specificity, overload, fatigue management, and linearity, it was based around making sets last 30 seconds, resting 30 seconds between reps, doing 30 exercises, and completing the program over 30 days; if you understood the principles of training, you’d be able to tell the system wasn’t worth your time. Essentially, if you don’t learn the basic principles of nutrition and training, you will always be a slave to marketing. Something promoted by a popular guru that “sounds the best” will earn your trust and investment because you have nothing else to base your decisions on. However, despite the importance of learning principles, systems are the true workhorses of success. Armed with only principles and nothing else, you are as equally stranded as if you had a system based on a set of arbitrary principles. Think about the example of someone who just started lifting weights, has never trained anyone, and just completed a bachelors in exercise physiology at the top of their class. This person might be able to explain the theoretical basis of overload, specificity, fatigue, and various periodization models. However, they would struggle immensely to put together a system that produces reliable results in the real world until they went through the experiential process of training themselves and others for a reasonable period of time. Without seeing how knowledge plays out in the real world, and without understanding the constraints in which knowledge can be applied, said knowledge lacks utility. But this is not an article about writing programs. Truly, these concepts apply to a vast array of things. For example, our logistical system of coaching which includes a weekly recorded video (ideally) check in, videos of lifting/posing, a review of a spreadsheet where macros, bodyweight, training, and cardio are recorded, and optional email interaction (often answering questions) between reports is built on a set of principles. We have people do a subjective video check-in because we subscribe to the principle that human communication is more informative when facial expressions, tone of voice and body language is captured. We use bodyweight averages over time versus a single weigh-in per week and assess changes in relation to macronutrient and energy intake. because we understand the principles underlying energy balance, weight gain, and biological variability. We take a supportive, athlete-driven approach to coaching and encourage questions, because we understand the principles underlying self-determination theory. As coaches, we start with a basic system that we apply initially to almost every athlete we work with. It is highly customisable based on what start-data they bring to the table (current and past training volume, caloric intake, body fat level, age, training experience, etc. 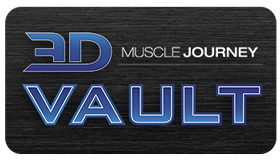 ), the logistical requirements of their situation (time to competition, days per week they can train, available equipment etc), and their personal preferences and needs (dietary restrictions, likes and dislikes of training, prior injuries, etc), but nonetheless, initially everyone follows the systems we’ve honed in the time since 3DMJ was launched nearly a decade ago. With that said, many times athletes with unique challenges and situations necessitate the development of a unique system specific to them. When you have worked with someone long enough to see repeatable trends that result in predictable outcomes, the system you use to coach that individual becomes more unique over time. For example, Bryce Lewis starts tapering his deadlift a little earlier than his squat and his bench press because we’ve seen that he reliably feels fresher on comp day when he does so. I personally diet with 2-3 refeed days per week, even from the very start of prep, because if I don’t my weight loss is less consistent on a week to week basis. I have an athlete who eats in a smaller deficit during the worst phase of her PMS and then the week following she goes into a more aggressive deficit than normal. While she can stick to her diet when PMS is bad, she’s a lot more stressed and mentally fatigued doing so, and her hunger is low and energy high the week following. The point being, a good coach is not defined solely by their knowledge of principles, but rather by the results they can help athletes reliably achieve (with the majority of their clients not just the genetic lotto winners). The “reliably achieve” aspect of this, is closely related to the systems a coach has developed and their experience with these systems. Over time, a good coach makes their systems more nuanced, broadens them, and perfects them, ultimately increasing their effectiveness as they gain experience. This is something we often get wrong in the “evidence based” community. We think knowledge of principles = results. A reflection of this, is that some new 3DMJ clients are disappointed when they find out they can’t work with me specifically. This disappointment stems from this a lack of understanding. Do I have a better grasp of exercise and nutrition principles than the rest of the team? Of course! I’ve spent the last thirteen years happily obsessing over this stuff. But that’s my primary job with 3DMJ these days. My role is to pass on the latest scientific knowledge to the team and make sure we have a collective understanding of scientific principles. What these disappointed folks don’t realise, is that Jeff, Alberto and Brad (our full-time coaches here at 3DMJ) can do MORE with the knowledge I have than I can! For the last 4 years I’ve moved my coaching down to being VERY part time. These three on the other hand, have been literally coaching ten times the number of athletes I coach. Meaning, because their experience is that much deeper and broader, their systems are that much more refined. So as you can see, yes, you need to understand principles to be able to develop a system at all (be it for yourself or for your athletes), and a misunderstanding of principles can lead to sub-par systems. But, once a good system is developed, that’s the difference between spinning your wheels and making progress. As a final note, I can’t tell you how important it is to do this with your own athletic career as well. I’ve seen a ton of coaches who have great systems for their clients but, aren’t systematic about their own training. They get caught up in emotional swings, and either ignore warning signs or make mountains of molehills, and in the end, can’t seem to keep the goal the goal. Ironically, if these coaches could just apply the same systems they use to help their clients to themselves, they’d probably make some great gains. But, that’s easier said than done, which is the whole reason people hire coaches!